The Let’s Move! City of Pryor Creek, Oklahoma is a community of just under 10,000 residents. Located in Northeastern Oklahoma, otherwise known as “Green Country”, the community has an abundance of parks and several nearby lakes. In November 2014, the City of Pryor Creek was recognized as the Let’s Move! Cities, Towns and Counties “Most Innovative City” by the National League of Cities for our efforts to reduce childhood obesity and improve children’s health. Presently, we are ranked ninth in the initiative with gold medals in Goal III and Goal V and silver medals in Goal I and Goal IV. Since receiving the award in 2014, a key focus for us is promoting walking as an easy way for residents to be more physically active. The Cherokee Nation and the Mayes County HOPE Coalition recently worked with the city to bring internationally-known walkability expert Dan Burden to town. While here, Dan and his staff helped develop a Safe Routes to School Plan along with a punch list of “low-hanging fruit” projects. The projects included forming a walkability and bikeability task force, updating and installing additional pedestrian crossing signs, completion of several traffic calming projects and adopting a complete streets resolution. The excitement generated by these projects has since led to the development of a bicycle and pedestrian master plan for both the city and county. These plans should soon be ready for adoption by the city. Traffic calming projects have included street graphics, street striping, redirecting parking stalls to be rear facing and the addition of speed tables. High school leadership students helped by painting the street graphics in the middle of several intersections near elementary schools. These bold graphics help to alert drivers that they are entering a school zone. We have also striped lines along the outer edges of one of the streets in a school zone; by striping along the outer edges and not the center, the street appears to be narrower than it actually is. People drive slower as a result. 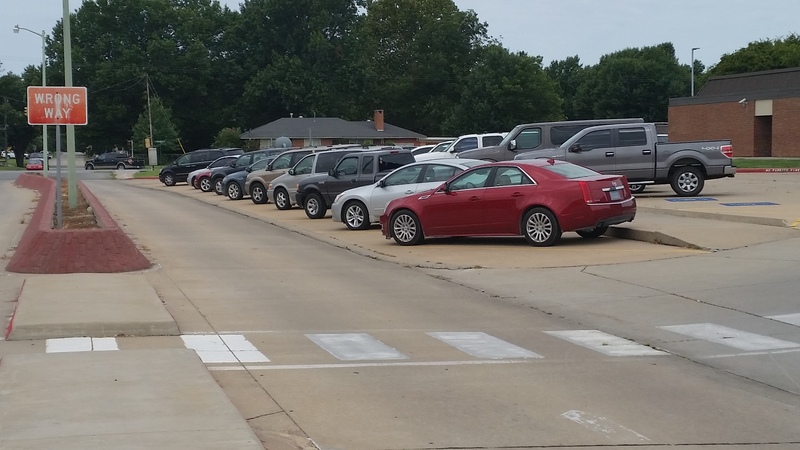 At another school, we redesigned and repainted parking stalls to force drivers to back in to park. This slows drivers down when they are parking and is safer for unloading passengers. Pryor Public Schools encourage students to become leaders through their continued implementation of the “Leader in Me” program, developed from Stephen Covey’s The 7 Habits of Highly Effective People. High school student leaders meet every Wednesday to walk younger grade school students to school in their Walking Wednesdays walking school bus program. Additionally, students are encouraged throughout the school day to take activity breaks. School staff members also lead by example as they exercise at “The Rock”, a workout center provided by the district for their employees. Seeing all of the excitement and enthusiasm around fitness has encouraged the Pryor Area Chamber of Commerce to get involved. They have been a driving force in helping with the city’s bicycle and pedestrian master plan and have funded the installation of fitness equipment on an existing jogging trail in Centennial Park. This trail recently became the location for the HOPE Coalition’s “Fit Kids” summer youth fitness program and our new fall adult program “MACO Fit”. 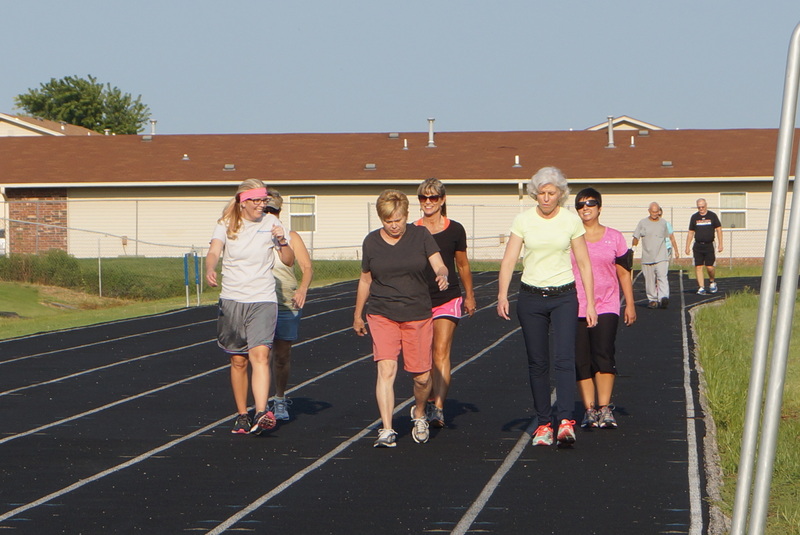 Short for Mayes County, MACO Fit is a free 10 week, family-friendly, fitness program for beginning and intermediate walkers and runners. Participants receive core strength training, nutrition education and information on how to properly stretch before working out. Improving the health of a community takes partnerships with many different organizations. Program support comes from the City of Pryor Creek Recreation Center, Mayes County Health Department, Cherokee Nation Healthy Nation, Mayes County HOPE Coalition and Alliance Health Pryor. 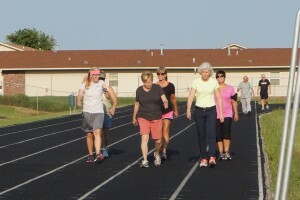 Pryor Creek residents walking on a new fitness track. We attribute our success to the partnerships we have formed within our tight-knit community. Our greatest strength comes through our ability to work together. Through collaboration, we will meet our goals to significantly reduce the rate of childhood obesity while improving our community’s health and quality of life. If you’re looking for other ideas to improve walkability in your city or county, check out the recently released Step It Up! 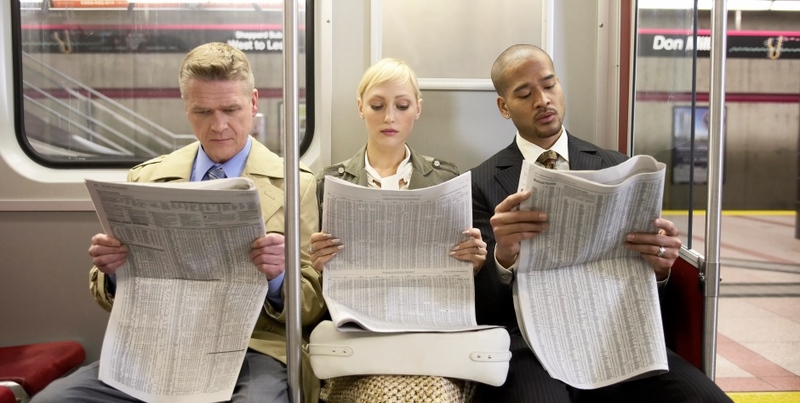 The Surgeon General’s Call to Action to Promote Walking and Walkable Communities. Learn more about the Call to Action and how you can help make improvements to community walkability by creating programs and policies that provide opportunities and encouragement for walking.